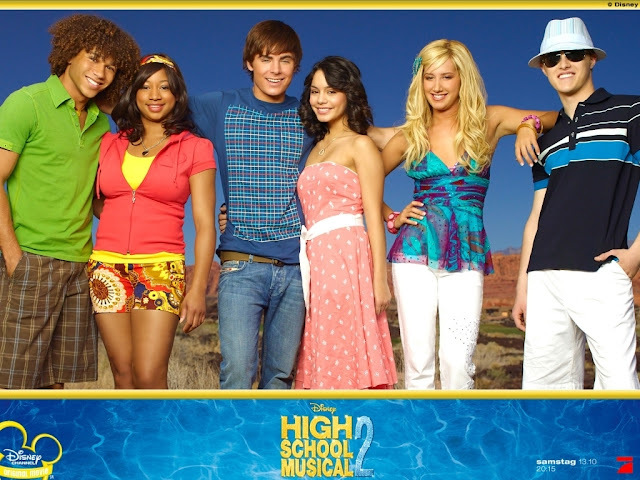 Fruitless Pursuits: The Book Was Better Podcast Episode 31: High School Musical 2! The Book Was Better Podcast Episode 31: High School Musical 2! The Book Was Better is the podcast where Jessica and I subject ourselves to the hastily written tie-in novelisations of loved/loathed movies for your listening entertainment! Try to explain this concept to an older relative or coworker and thrill at their blank looks of disdainful bewilderment! This week we return to East High to check in on our pals Troy, Gabriella, Chad, Sharpay and Screech in the novelisation of High School Musical 2! A book which features no music, no lyrics, and has only a handful of pages set in a school. This preposterous piece of teen melodrama fluff is guaranteed to make you feel 20 years older than you actually are! You can download it right now from the official site, or why not subscribe to us on iTunes and help us enjoy the fickle, fleeting fame of the Internet! Who Wants to Play Chivalry: Medieval Warfare! My Zombie Peach Photo Shoot!